One benefit of writing this blog is that it gives me an excuse to sit down and talk with our rabbis at much greater length than I normally would. 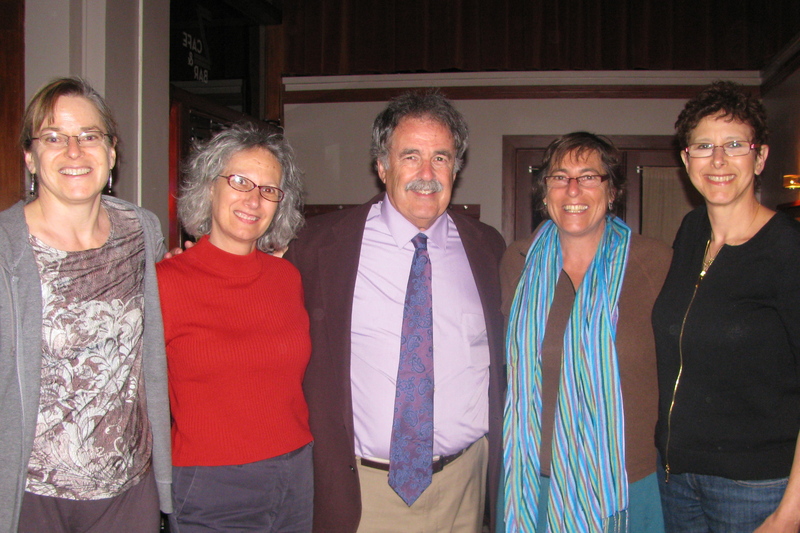 This is the fourth in an occasional series of interviews with the rabbis of Temple Sinai, my Reform congregation in Oakland, Calif. 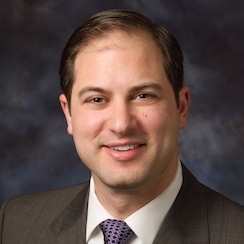 Rabbi Andrew Straus may be 50 and a veteran of three congregations, but he’s the new kid on theTemple Sinai block, having taken over as senior rabbi on July 1st after the retirement of Rabbi Steven Chester. Still, less than a month into his rabbinate here, it’s already clear to me that he is a wonderful addition to the Sinai community. Rabbi Straus — whose wife Karen and three children accompanied him from his previous pulpit in Tempe, Arizona — brings warmth, humor, energy and intellectual vigor. During his first Shabbat service at Sinai, he turned the d’var Torah into a room-wide back-and-forth on that week’s Torah portion. He seemed to already know the names of half the attendees, and the other half he learned by asking them to introduce themselves as they made comments. I suspect that two decades from now, people will be saying the same thing about Rabbi Straus that they said about Rabbi Chester: I can’t imagine Temple Sinai without him. Q: Tell me about why you became a rabbi. A: I was entering my senior year at Brandeis, about to graduate with a history degree. I didn’t want to go to law school, and I didn’t want to pursue a PhD. So I said, ‘Let me find the longest graduate program that will put off the real world longer than anything else.’ And rabbinic school was another five years of graduate study. That’s the joke answer, although there’s some truth to it. But more seriously, I was looking at what I wanted to do with my life. I loved working in the Jewish community, so I started looking at getting a master’s in Jewish education or possibly in Jewish social work. At that time they would teach you education, and throw in a little bit of Judaism. Or they would teach you social work, and throw in a little bit of Judaism. The major focus was on the professional degree, not the Jewish studies. What I wanted was to study Judaism in a more serious way – and then figure out what to do with it afterwards. What I’ve since come to realize is that the rabbinate allows me to dabble in all of those areas. I get to do the social work stuff and the counseling; I get to be involved in education; I get to be involved in community organizing and community issues. Sometimes I think I’ve become a jack of all trades, though I’m not sure I’ve mastered any of them. Q: What kind of Jewish upbringing did you have? A: I grew up in Poughkeepsie, N.Y., where my parents were very involved in the Jewish community. They don’t use the term ‘refugees’ to define themselves, since they left Germany right after Kristallnacht and didn’t go through the camps. But that experience certainly shaped them and how they were involved in the Jewish community. I very clearly remember going down to New York for Israel Day parades or for Free Soviet Jewry day marches. I remember the Yom Kippur War, just before my Bar Mitzvah, sitting with my father at the J.C.C. and making calls about who was going to donate what to support Israel. I remember some of the doctors in the community leaving to go to Israel for the Yom Kippur War. For my parents, it was very important we have Shabbat dinner together. And more often than not, we went to Friday night services together too. Q: Was your family Reform or Conservative? A: It was a Conservative congregation, a very liberal Conservative congregation. 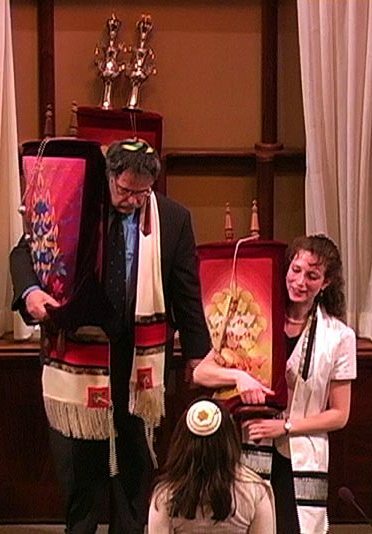 The first Shabbat that Conservative synagogues were allowed to count women in a minyan, our congregation was doing it, and at the first Shabbat where the Conservative movement gave permission for women to read from the Torah, we called women to the Torah. Q: What drew you to become a Reform rabbi rather than Conservative? A: At the time, the Conservative seminary was not accepting women, and that didn’t make any sense to me. And at the time, it was understood that you would be shomer Shabbat — traditionally observant of Shabbat and kashrut and the mitzvot. If you didn’t do those things, it could be grounds for expulsion. I didn’t want someone forcing me to do those things. I might choose to do them – but I didn’t want someone forcing me. I realized that, if that’s where I was, it was really more of a Reform Jewish attitude than a Conservative one. So maybe I belonged at Hebrew Union College in Cincinnati. Q: Are there parts of Reform Judaism that remain uncomfortable for you? I’m not sure I could be in a fully classical Reform congregation – one that was still using the Union Prayer Book with services largely in English, where the cantor is hidden and there’s a pipe organ with a large professional choir. But the (Reform) movement has become much more traditional over the past 30 to 40 years. This embrace of tradition made it much easier for me. And I think I’ve become more liberal. Q: What are your favorite aspects of being a rabbi? There are so many different components of this job – the pastoral counseling, the Jewish scholarship, the social action, the interfaith work. A: Of the things you mentioned, I certainly enjoy the social action, the Jewish education, the pastoral counseling. If I could eliminate all the administrative pieces, that would be great. But that comes with the territory. I love teaching, I love counseling, and the social justice stuff often gets me jazzed, especially when you can see where it makes an impact on the community. Q: Do you personally feel more of an affinity for the spiritual/reflective aspect of Judaism or the tikkun olam/community-building aspect of Judaism? A: I’m not sure I see the two as separate. I understand Judaism as asking us to be God’s partners in healing this world. My understanding of the mitzvot is they are designed to help me live a conscious life – to help me think about these issues both interally for myself and the Jewish community, and for the external community. If I can use kashrut as an example, I think kashrut is about conscious eating. What am I about to eat? How was this animal slaughtered? Am I eating dairy or am I eating meat? It takes an instinctive part of who I am – as an animal, I have to eat – and brings it to the head and heart. My pet dog doesn’t use his brain when he eats. I’m a human being, and I have to use my brain and my soul when I sit down to eat. Q: I feel that kashrut often emphasizes the letter of the law rather than the meaning. I can understand putting attention into buying local, or into how food is produced. But that’s totally different from separating milk and meat and using margarine rather than butter at a meal. A: What I find really interesting is this whole new movement called eco-kashrut. The Conservative movement has taken the lead with a new certification called Hechsher Tzedek or Magen Tzedek. Traditional kashrut only looks at the last ten seconds of an animal’s life – how is it slaughtered? The Conservative movement is saying that’s not enough. We have to look at how that animal is treated through its entire life, how the workers in the slaughterhouse are being treated, how the farmers are being treated. There’s a lot of wisdom to that. In my own home, we eat very little meat. But when we do, we don’t look at whether it has been properly shechita’ed (slaughtered), because most meat in America today is slaughtered with relatively little pain — which is what kashrut is really about — but we do look for natural or organic or free-range. We expand the definition. This doesn’t fit my Orthodox brothers’ categories. But it fits my categories, and it fits what you were saying about looking at the broader picture. Q: Let’s take a leap into the abstract and talk about God. What is your conception of God? A: It’s very much an evolving conception. I often joke — but am also serious — that the day I think I know with absolute certainty who and what God is, that’s the day I’ve stopped growing as a human being and a Jew. That’s certainly the day I should get out of the rabbinate, and probably the day I should die. I am very much influenced in my thinking about God by writers like Mordechai Kaplan, Harold Schulweis, and Harold Kushner. They teach that God is not a supernatural God who can come down and fiddle in the laws of nature. Kushner has written that we ultimately have to choose between a God who is all-just and a God who is all-powerful. And given that choice, I choose a God who is all-just. This means that God has created the world in such a way that the world operates by certain laws – the laws of genetics, physics, chemistry, all those laws that scientists are discovering on a regular basis. It’s not that God chooses not to interfere with those laws, but that God cannot intefere with those laws. So when someone gets cancer, I can’t blame God for that cancer. At the same time, it means God doesn’t pick and choose and say, ‘Mrs. Schwartz, you’re going to be cured from your cancer but Mr. Cohen, you’re going to die from your cancer.’ That’s got to do with all the other scientific laws. Q: If God is with the doctors studying cancer, is God also with the vandals who come and break into Mrs. Schwartz’s house while she is in the hospital? A: No. I would argue that the vandals – or the terrorists, or whoever you want to substitute into that sentence – are people who have chosen not to listen to the will of God. Q: But people who do horrible things often believe they are hearing God. Think of all those popes who carried out crusades and pogroms in the name of God. A: That’s not the God that I believe in. The God I believe in couldn’t possibly condone actions like that. And that goes for the jihadists, crusaders, or whomever you want to substitute there, who says ‘I’m acting in the will of God.’ No God that I believe in could condone that. Q: But they’re as confident as you are in their view of God. Why should I put greater credence in one, rather than conclude it’s all subjective and everyone is making things up to justify what they want to believe? Judaism is the best way for me to understand my role in the world and my relationship with God. Committed Christians find that Christianity is their way, and committed Muslims would say the same thing. But to me, any religion that teaches hate and violence in the name of God goes beyond the realm. Q: In your own life, do you feel that you have ever communicated with God or experienced the presence of God? A: I’m not sure I would use the word ‘presence.’ I might use the word ‘ force.’ But yes. There are moments when we sense that force. As Danny Syme once taught me, when we think about love, we can’t see it, touch it, smell it, or feel it with any of our five senses. But we all know when we’ve been in the presence of love and when we’ve felt loved. It’s the same thing with God. We can’t experience God with any of our five senses. But we know when we’ve been in the presence of God. Although often we don’t know it till after the fact. Q: Have those moments for you been in prayer, or in nature, or in driving the carpool? A: Rarely in driving the carpool! But there are times when a kid will make a comment, or I’ll see a beautiful sunset while driving. There are moments while teaching. There have also been moments when I’ve been with families in a hospital room, saying a prayer, and something happens. Each time it’s different. But there’s a sense: God was present in this moment. I often use an analogy of baseball. The greatest baseball players right now are batting 350, which means they only get a hit 35 percent of the time at bat. They go right back to the dugout 65 percent of the time. But they know – to get that hit, they’ve got to work on their batting 350 days a year. And they’ve got to be willing to fail time after time after time. The same thing is true for us in our experience of God. Too many of us walk into the sanctuary and think that every time we’re going to get a home run. If you think hitting a baseball at 90 miles per hour is hard, true experiences of God are harder yet. So as a community we have to learn to say: When I open myself up to those possibilities, more often than not, nothing will happen. I’ll go right back to the dugout. There will be those times I get a single. Very rarely will I get a home run. As my father would say: If I go to services, the odds of having a deeply spiritual experience are pretty slim. But if that doesn’t happen, hopefully there’s been some beautiful music. And if there wasn’t beautiful music, maybe the rabbi said something that was intellectually stimulating. Or maybe I saw a friend and it was a great social experience. And if worse comes to worst, maybe there was something good to eat at the oneg. There’s lot of different reasons to come to services. 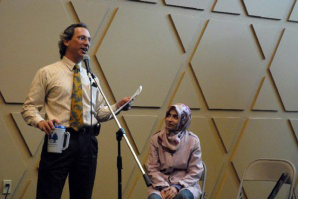 Q: You did a lot of interfaith work in Arizona. What is one thing you wish more non-Jews understood about Judaism? A: That Judaism is not monolithic. And that Judaism today is not Biblical Judaism. That what they read about in the Hebrew Bible — what they call the Old Testament — is not how any Jews worship or practice today. Q: What do you wish more Jews knew about Judaism? A: I wish they would get the sense that Judaism is a way of life, with something to teach us about almost every aspect of our lives. While we might not always agree with it, we have an obligation to study and learn from it. Judaism can help us make our daily lives richer and more meaningful. That’s part of what I think Orthodoxy gets. It’s not just about Shabbat or Passover, but about how to see the world through Jewish eyes. 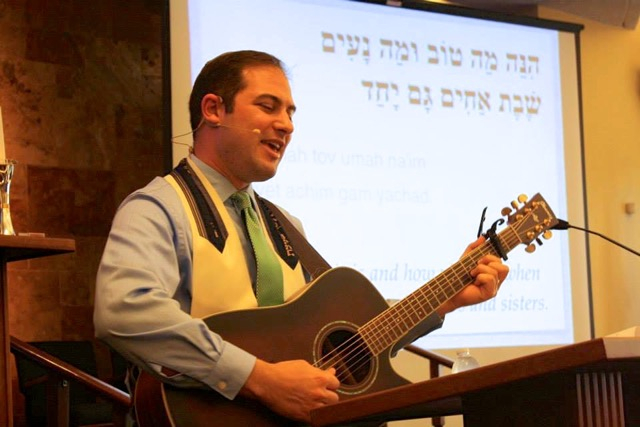 This is the fourth in a series of interviews with rabbis connected to Temple Sinai. Click on these links to read previous interviews with Rabbi Jacqueline Mates-Muchin, Rabbi Andrea Berlin, and Rabbi Steven Chester. One benefit of writing this blog is that it gives me an excuse to sit down and talk with our rabbis at much greater length than I normally would. 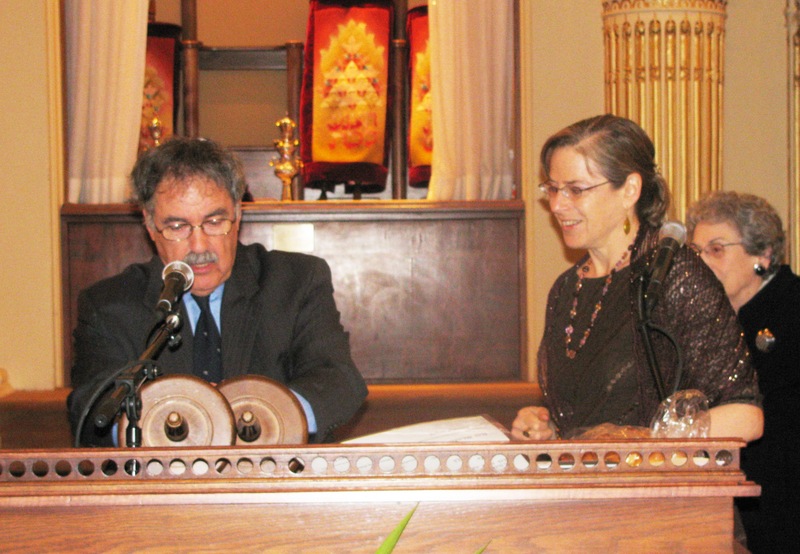 This is the third in an occasional series of interviews with the rabbis of Temple Sinai, my Reform congregation in Oakland, Calif. 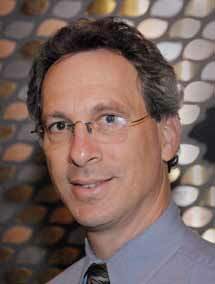 Rabbi Steven Chester, our senior rabbi at Temple Sinai, is retiring after 22 years at Sinai and 40 years in the rabbinate. 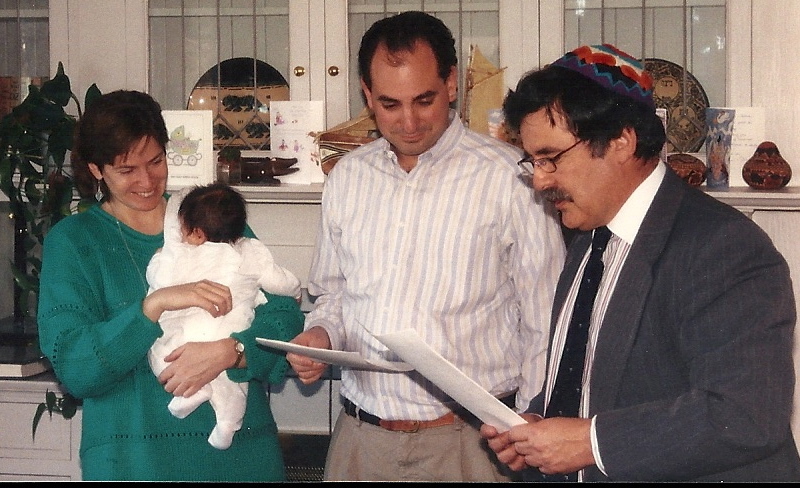 Seventeen years ago, he conducted our daughter’s baby naming ceremony. Earlier this spring he officiated at my adult Bat Mitzvah. We’ve known he was retiring for a long time — this is actually his second attempt at retirement, since his first got derailed by the recession — and I felt lucky to have the chance to study with him for my Bat Mitzvah. Rabbi Chester was in fact the reason Sam and I joined Temple Sinai. We had just moved back to Oakland from Sacramento and were “congregation shopping.” We walked into his office, saw the United Farm Workers poster on the wall and felt his personal warmth, and we were hooked. Rabbi Chester combines that personal warmth with a commitment to social justice, powerful public speaking skills, a “big tent” approach to Israel that welcomes both AIPAC hawks and J Street doves, an intellect that moves easily from ancient Jewish history to contemporary novels, and a humanistic theology in the tradition of Abraham Joshua Heschel. And let’s not forget a sense of humor that, every Purim, gave us our rabbi in drag as Esther Chester. Q: You’ve spent 40 years in the rabbinate. Do you view Judaism differently now than when you entered? A: I don’t view Judaism differently, but the ways that people manifest their Judaism have changed. People are much more inward today. If you want to hang a word on it, they’re more spiritual, whatever that word means. Reform Judaism of the ’60s, when I was in rabbinical school, was completely social-action oriented. Rabbis spoke about social issues and how Judaism connected to those issues, but they did not speak about prayer or God. The movement’s emphasis was 80 percent on the social action side of Judaism and 20 percent on the inward side – on self-fulfillment, prayer, and God. That’s been the major change. In Jewish life and especially in liberal Jewish life, we’ve always balanced on two tightropes. One tightrope is the tension between particularism and universalism, or between Jewish issues and universal issues. The other is between individuality and community. It’s not that the values have changed, but the weight put on one or the other has changed. Q: Is that change for the better or the worse? A: Ten years ago, I definitely thought it was for the worse. One would go to conventions and there was a preponderance of workshops on turning inward and self-searching rather than the outward and community action. Now social action is coming back and there’s more of a balance. That’s positive. There has to be both. Q: How about you personally? Has your relationship to Judaism changed over these 40 years? A: My relationship to tradition has changed. I’m not speaking theologically; I’m speaking ritually. I’ve become more traditional in the service, where davening or body movement has become more significant, and where there’s much more Hebrew in the service. I look much more to text than I did in my early rabbinate. Very little text was dealt with in the ’60s and ’70s. Now the emphasis is that when you do something, you base it on text. You’re looking at text and examining text. In terms of Jewish values, I haven’t changed. My emphasis remains the parallel relationships (with people) and not the vertical relationship (with God). I’m much more concerned with what Judaism says and with what I do — the Jewish values by which I live my life — than with prayer. My main connection is still to the social, and to social justice. Q: You’ve spent 40 years dealing with people in moments of intimacy, trauma, and joy. Do you view human beings differently now? A: No. I view people as basically good. I try as hard as I can to not be judgmental. There are some people who have difficulties – family problems, psychological problems and so on — that prevent them from reaching their true potential as a person. But I still see people as basically decent. One thing I’ve learned in my rabbinate is: Don’t react immediately, and don’t overreact. Listen to what someone is saying and then try to figure out why he or she is angry. I’ve learned that if someone comes in very angry about something in the congregation, generally there is something going on in his or her personal life – illness, divorce, conflict in the home. The congregation may be the one place where this person feels a sense of ownership, and so takes out his or her frustration on the congregation. Q: What has been the biggest surprise in being a rabbi? A: What they didn’t teach in rabbinical school that surprised me was the practical aspect – from budgets to how boards work. That was probably the most difficult thing to understand. If everyone thought like that, where would the next generation of children go to be educated? It’s a very selfish way of looking at things. If the majority of people did that, we would have no synagogues. Another thing that surprised me — and that I now understand — is that you can’t play the numbers game. If x number of people come to services or take a class, then your job is to make it a meaningful experience for them. You can’t say something is not a success if it only has 10 people and not 40. I’ve served three different sizes of congregations, and you’re essentially going to have the same percentage of people actively participating. I no longer judge in the way I did when I was young. My first high holiday sermons were, “You all should be coming to services more!” Well, that doesn’t do any good. As a matter of fact, all it does is take away from the importance of the other points you want to make in the sermon. You want to be creative and try to bring people in. But you can’t lament that not everyone is going to be doing everything. That approach will destroy you. You’ll be emphasizing the negative as opposed to the positive. Q: I liked your phrase about being more “horizontally” focused than “vertically” focused. Let’s talk about the vertical. What’s your conception of God? I don’t believe that God is in control of my life like a puppeteer. I go back to some of the Chasidic rebbes who said that when we are born, a piece of God is placed in each and every one of us. And when we bring out our potential, then God is present. God is acting through us. When there is evil in the world, it’s not that God isn’t there – it’s that God has not been activated. That part of the human being, godliness, has not been activated. Do I believe God can heal people, as it states in the mishaberach? No. But I do believe that when I reach the end of my rope, when I feel helpless and hopeless, there is something inside that gives me extra strength. That, to me, is God. But there are also times when I hear the cantor sing and all of a sudden, my mind goes back to the traditional belief that God can heal or answer prayers. Because there are emotional moments when things happen in our lives, and we sometimes need something more concrete to rely on. One doesn’t have to believe in one way. One can be eclectic. We are human beings, and we are not consistent. Those of us who are parents are not consistent in parenting; most of us don’t have only one kind of art in our house; we eat different types of foods. Why do we always have to be consistent about our belief in God? In the old temple building, three or four times a week I would go sit in the Harpham Chapel and look at the colors of the stained glass windows. I knew the times of day when the colors would bounce off the white of the walls, with the colors mixing. Did I say a formal prayer? No. I would just look at that, the awe and the wonder of it, and God would be touching my life. It comes back to Heschel, and that every facet of life is a miracle or godly. Heschel said that when we say blessings for everything, it isn’t because God needs the blessings. It’s that we need the blessings to realize the miracle of everything God has given us. Q: You’ve spent a lot of time over the years working with people in moments of grief and mourning. What drew you to this? A: It’s not that I really l dwell on doing grief counseling. It’s something I became qualified to do. But the reason why may be a little bit deeper. I had a girlfriend my first semester in college — a brilliant young woman, a year ahead of me at UCLA, second violinist in the L.A. Philharmonic, a talented, bright, sweet young lady. She was probably my first love. I was home in Pomona for winter vacation and I received a call from her mother, saying she had fallen off a horse and was in the hospital and probably wouldn’t be able to go out New Year’s Eve. Then, before I had a chance to go in and visit her, I received a call that she had died. We did the burial, and I didn’t go back to the house afterwards. And because I didn’t know what to do or how to act, I never visited her parents or contacted them again. I always felt tremendous guilt about that. I think that may be one of the reasons, subliminally, that I started taking classes in grief and death counseling and became pretty well qualified to do this. In Stockton, I was one of the co-founders of a hospice and became the grief counselor for the hospice. I know somewhere down deep it had to do with my own failure as a human being and as a young man – I was 18 years old – and not knowing how to handle that particular situation. That’s also why in Stockton, and sometimes here in Oakland, I used to do a death and dying class for 10th graders. I wanted them to know how to act when they went into a house of mourning – not to be afraid, and to know what to expect if someone died in their family. Q: When you think about what Judaism will be like in 10 or 20 years, are you optimistic or pessimistic? A: I’m optimistic. I don’t think Judaism is going to die out in the United States. More people are interested in it. How it’s going to look is another question. The only other time in Jewish history that’s comparable to the Jewish American world today was 2000 years ago – only today you don’t have the oppression that existed in Roman times. Back then you had the Sadducees and the Pharisees, the Essenes and the Zealots, and the secularists who wanted to become like the Greeks and Romans. Today you have Reform, Conservative, Orthodox, secular, Modern Orthodox, Ultra Orthodox, Chasidic Ultra Orthodox, non-Chasidic Ultra-Orthodox, Renewal – all these things. I call it creative chaos. It’s all very positive. The question is, where is it all going to go? Not just Reform Judaism – but what will all of non-Ultra-Orthodox Judaism look like 20 years from now? I have no idea. Jewish values aren’t going to change. But how are they going to be manifest? And with all these developments in technology, how are we going to retain a sense of community? Do we want to become Facebook congregations? One of the beauties of Judaism has been that we have been able to adapt. Mishnah was an adaptation, Talmud was an adaptation, Chasidism was an adaptation, Reform Judaism was an adaptation. They were all responses to what was happening in the society, both internally and externally. That’s why we survive. Q: What is the secret to being a good rabbi? What would you tell a young rabbi entering the rabbinate today? A: That’s a difficult question. Because I’ve loved what I’ve done. I’d do it all over again, mostly in the same way. But the specific answer would be – love Judaism. 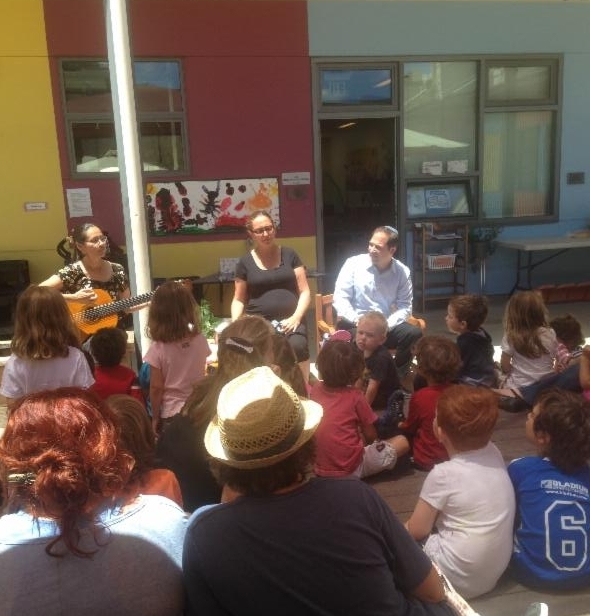 Love being Jewish, teaching Judaism, love other Jews. Love the Jewish people, even with all our mishegas (craziness). That would basically be it. You have to love what you’re trying to give to people. Also, you have to have respect for people — faith that they will try to further what you as a rabbi feel is significant in Jewish teachings and life. Q: Is there anything you would change about your rabbinate? A: I am thrilled this congregation grew the way it did, almost doubling in size. However, it’s difficult to have a large congregation when you’re the type of rabbi I want to be. Essentially I’m a pastoral rabbi. I believe in seeing people as soon as possible. I fit in other things between appointments or at night. So I end up working many hours a week. My first congregation, 100 families, was very intimate and I knew everyone. My second congregation was 325 families and I knew almost everyone. Then, as I came here, to a larger congregation, both the congregation and I lost some of that intimacy. I ended up not doing every bar and bat mitzvah, not interacting with the families in the same way as in a smaller congregation. If this congregation had stayed at 500 or 550 families, that probably would have been more fitting to the type of rabbi that I am. To see the growth here is very thrilling and gratifying. But you become more of a CEO-type, and sometimes why you became a rabbi falls a little bit to the wayside. About a month ago I had a day all filled with what I would call “real” rabbinic duties. I counseled a person who was going through tremendous difficulty, then had a bat mitzvah rehearsal, then I taught a class at night that was really thrilling. This is the third in a series of interviews with rabbis connected to Temple Sinai. 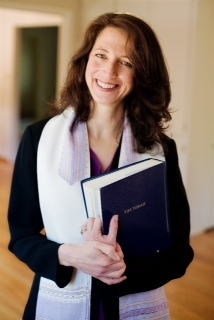 You can read the first interview with Rabbi Jacqueline Mates-Muchin here and the second interview with Rabbi Andrea Berlin here. If adding a few zombies can put Pride and Prejudice on the bestseller lists, why not this blog? Sad to say, though, I’m not really writing about zombies today. Nor even about vampires or werewolves. Instead, let’s talk about Jewish conceptions of an afterlife! As part of my ongoing meetings with my rabbi, I recently read two books about Jewish ideas of an afterlife – What Happens After I Die: Jewish Views of Life After Death, by Rifat Sonsino and Daniel B. Syme, and The Death of Death: Resurrection and Immortality in Jewish Thought, by Neil Gillman. What Happens After I Die is a short, easy-to-read summary of how various Jewish thinkers have approached this issue. (Like Sonsino and Syme’s other book on Finding God, it’s kind of a Cliff’s Notes for Jewish theology.) Gillman is a little weightier. By the time the Talmud was compiled around 400 C.E., Judaism had developed a doctrine of physical resurrection – that someday when the Messiah comes, the dead will rise up and God will restore them to their bodies. There are various historical theories about why the resurrection doctrine developed – for instance, during an era of massive oppression and killings of Jews by the Romans, it filled a psychological need for justice. Bodily resurrection as a doctrine had its opponents (the Pharisees were pro-resurrection, while the Sadducees believed that once dead, you stayed dead). But whatever its genesis, resurrection of the dead ultimately became a key point in Orthodox Judaism. There are lots of inconsistent, sometimes conflicting, ideas about afterlife running through the past 2,000 years of Jewish thought. There’s even a Jewish version of reincarnation in the Kabbalah – gilgul neshamot, or “revolving of souls”! When Reform Judaism arose in the 1800s as an effort to bring a modern, scientific world view to Judaism, it renounced the doctrine of bodily resurrection. The Reform liturgy removed the traditional wording praising God for giving life to the dead (mechayei hametim), and instead praised God for giving life to everything (mechayei hakol). Rather than bodily resurrection, Reform Judaism followed Maimonides’ lead and focused on the immortality of the soul. Some Reform thinkers went even further and treated immortality as an abstraction – i.e., we live on after death through our good deeds or through people’s memories of us. Recently, though, Reform has stepped back from its historical antipathy to the language of bodily resurrection. In a bow to tradition, the latest version of the Reform prayerbook gives congregants the option of saying mechayei hametim instead of mechayei hakol. Yow! Maybe we’ll get some zombies into this blog post after all. Zombies in the synagogue social hall! Zombies in the sisterhood gift shop! Zombies on the JCC basketball court! In any case, this is all historically interesting. But what does it mean for me personally? Not much. I can’t even begin to take the idea of dead bodies rising up from their graves seriously. I don’t buy into ideas of heaven (Gan Eden) and hell (Gehinnom). Nor do I believe that I have a soul that will live on after I’m gone, although I’d be happy to be proved wrong. And the abstractions about living eternally through good deeds or others’ memories? That always feels like empty rationalization to me – no one short of a Shakespeare or a Lincoln is really remembered beyond their children and grandchildren. And in any event, I don’t want to be remembered: I want to be alive! Ironically, the Jewish description of death that most speaks to me is the oldest and least sophisticated one – the Biblical one. To me, that is eloquent in its stark honesty. It doesn’t sugarcoat anything or succumb to wishful fantasy. It forces us to face the painful fact of our mortality. And as a corollary, it challenges us to live a meaningful life since it is the only life we have. That’s kind of existentialist. It’s also very Jewish – do good, be just, be kind, not to win rewards in some future heaven but because it is the right way to live life here on Earth. Since posting this blog entry, I learned from my old college friend Eliot that Ochs was half Jewish on his father’s side! (See the comment section for this entry.) He was not actively Jewish, and I suspect he looked at all organized religion with a jaundiced, crap-detecting eye. But that song (I’ve included just a partial excerpt) is one of the most moving and spiritual statements I’ve heard. It belongs in a siddur.